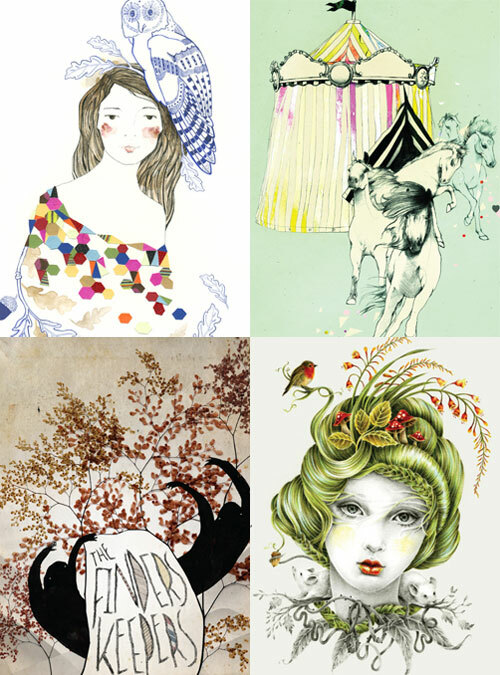 Previous featured artists include – Catherine Campbell, Kareena Zerefos, Kevin Tran & Courtney Brims! We’ve decided to run our very own Finders Keepers featured artist competition. Lately we have had lots of emerging artists approach us with their artwork so we have decided it’s time to put together a competition! We are asking young emerging creative artists to submit us 1 x artwork specifically for the Finders Keepers for a chance to gain exposure for their work and be featured through us. The winner and 5 runner up’s will have their artwork digitally printed on t-shirts as part of our featured artists collection and sold at our Finders Keeper’s events throughout the year. Each t-shirt sold will have a small bio attached to it, to help support and bring more exposure to you! For all that don’t make into the top 6 spots, we’ll also be picking artworks to be featured on our blog from the final entries! Terms and conditions apply – please read below for more details. Competition closes Thursday 18th February at midnight EST. 1. This artwork competition is for Australian residents only. 2. Artists must be over 18 years of age. 3. Artists must be new & emerging but have a strong body of work to be included in any of our events. 4. Competition opens Monday 25th January and closes Thursday 18th February at midnight EST. 5. All artwork entries must be accompanied by a small bio, URL link to existing work online or a zipped version of your portfolio work. 6. Final artwork needs to be sent to us on a white background only, for digital printing. 7. Artwork must be sent to us via email in a low res format suitable for email (jpg or pdf) or a link only to final artwork, preferably nothing over 1MB. We will not accept hi res files and in the occurence of sending us hi res files we’ll ask you to re-submit in a suitable format. 8. Artworks for consideration need to be sent to: info@thefinderskeepers.com with ‘Artwork Competition’ as the subject title. 9. Artists chosen in the final 6 will be notified via email on Friday 19th February. Unsuccessful applicants will unfortunately not be notified. If you are chosen in final 6 you will need to have the final version of the artwork prepared in advance. Final artwork must be sent to us in high resolution format. Must be sized at least at A3 and at 300 dpi for digital printing. 1. If your artwork is chosen in final 6 you will be asked to sign a contract that confirms Finders Keepers usage of your artwork for re-printing. 2. Finders Keepers will always endeavour to credit the artists via all links on the website and any printed materials with the use of your artwork will have a credit printed on it. That’s a very exciting opportunity and an inspiring project to work on. This is a great opportunity! Thank you. I like the sound of that cant wait to see the artists who enter. being a virgin to this entire site i only just came across this competition.. I guess that gives me a good 12 days to prepare… can’t wait!!! Hi, I have just discovered your blog, and love what you are doing..
Will send my entry today!.. Hi Kirbee – we’ll be announcing the winners tomorrow!